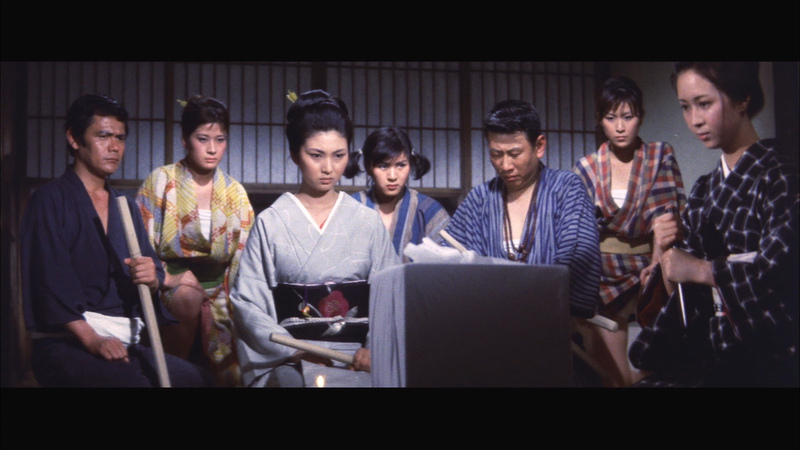 UA thrilling Yakuza film featuring eye-popping visuals, sensational fight sequences and the gorgeous Meiko Kaji (Lady Snowblood, Stray Cat Rock), in her first major role. 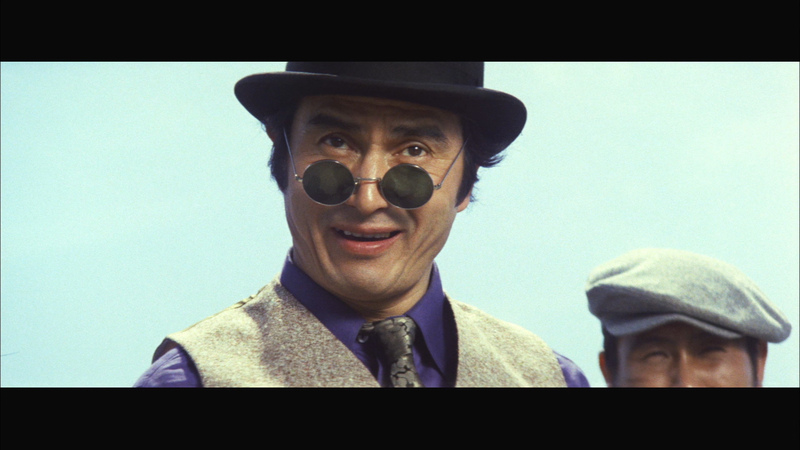 Akemi (Kaji) is a dragon tattooed leader of the Tachibana Yakuza clan. 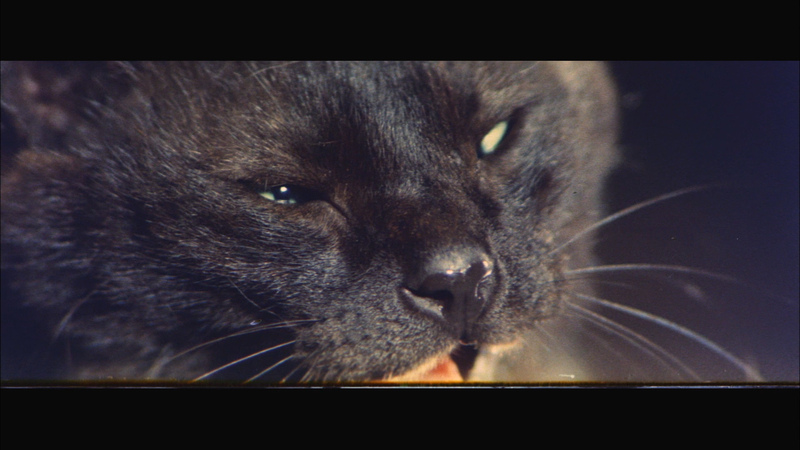 In a duel with a rival gang Akemi slashes the eyes of an opponent and a black cat appears, to lap the blood from the gushing wound. 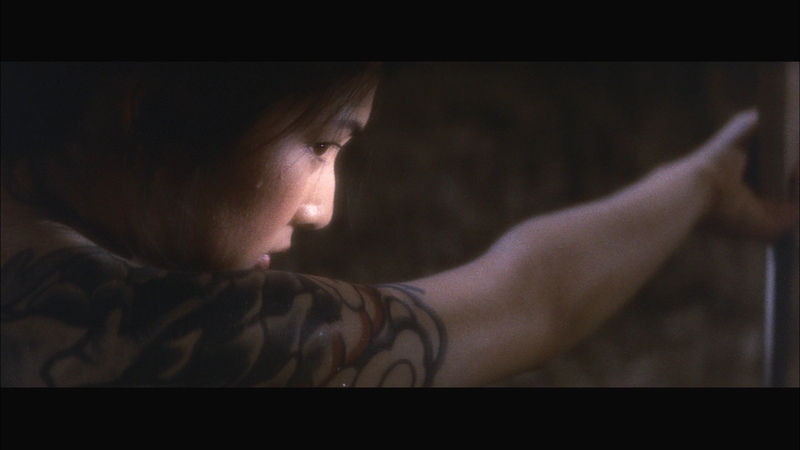 The cat along with the eye-victim go on to pursue Akemi's gang in revenge, leaving a trail of dead Yakuza girls, their dragon tattoos skinned from their bodies. 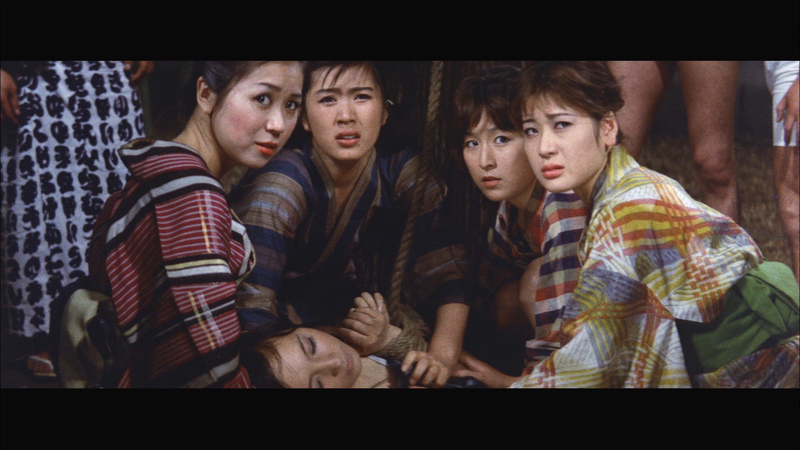 A bizarre blend of the female Yakuza film and traditional Japanese ghost story, with a strong dash of grotesque-erotica (the same movement was a sensibility of Edogawa Rampo whose works were adapted by Ishii in Horrors of Malformed Men), Blind Woman's Curse is a delirious mash-up of classic genre tropes, of which Ishii was no stranger, having directed everything from Super Giant films to Biker movies! Big thanks to Eric Cotenas and Gary Tooze for the Screen Caps! • Audio Commentary by American Cinematheque's Chris D.
ADDITION: Arrow - Region FREE Blu-ray - March 2015: It appears to have fallen upon DVDBeaver to identify differences in releases from around the world. The image is slightly richer with superior contrast and the subtitles are all above the frame - so this is, absolutely, a different transfer. It looks slightly superior to my eye - and technical stats (file size, bitrate etc.) are almost exactly the same. Extras (commentary etc. ), menus - are all duplicated from the UK release of almost a year ago. I can see here is that the audio has changed from 2.0 channel mono to 1.0 channel mono (still both linear PCM) and it is slightly more robust on the US release at 1152 kbps. As Michael Brooke informs us: "Although it seems pretty clear to me that a 24-bit 1.0 track at 1152kbps is a fair bit MORE "robust" than a 16-bit 2.0 track at 1536kbps, if you bear in mind the rather crucial detail that the 1536 bitrate covers two tracks rather than one. In other words, the bitrate per audio channel on the original release would just be 768kbps. 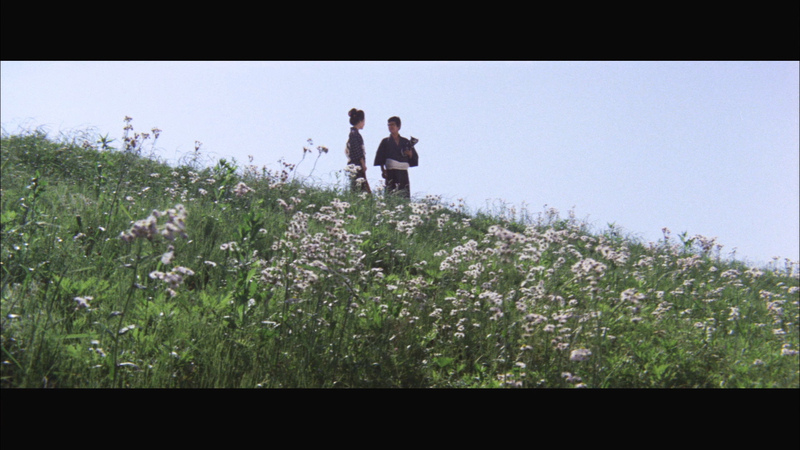 (Although given the film's age, I strongly doubt that this makes any audible difference.)" As Michael reminded us about Day of Anger - There are minor cosmetic differences on the disc labels and sleeve to do with differing copyright info and barcodes, and the US release doesn't have BBFC logos. Ohhh, although I don't have the included DVD yet - I presume it's NTSC - rather than PAL. Same impressive Arrow quality - a slight bump in the a/v, it's region FREE - and the film only gets better! Strongly recommended! 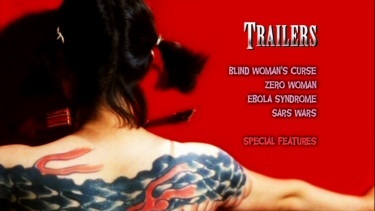 ADDITION: Arrow - Region 'B' Blu-ray - March 2014: Arrow's transfer of Blind Woman's Curse (aka The Tattooed Swordswoman) is single-layered but still has a high bitrate for the one-hour 24-minute film. 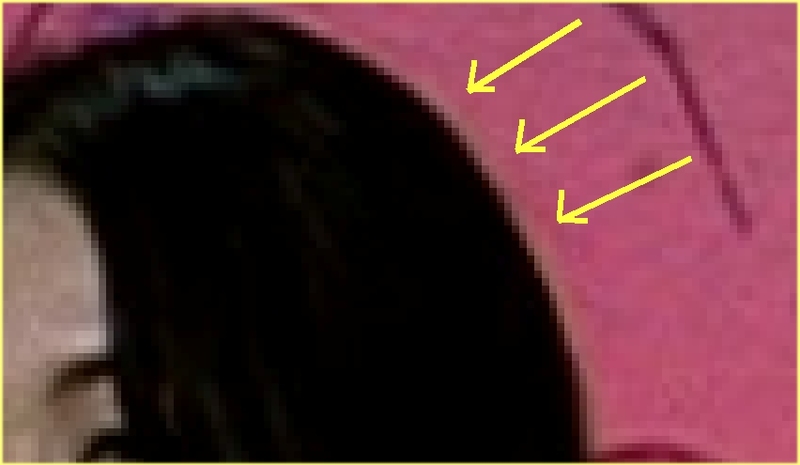 The OOP 2007 DVD looks boosted, brittle and has compression artifacts and edge-enhancement (see sample). It is probably acceptable for presentation on a 26" tube but for larger HD systems, the thicker Arrow Blu-ray is superior. 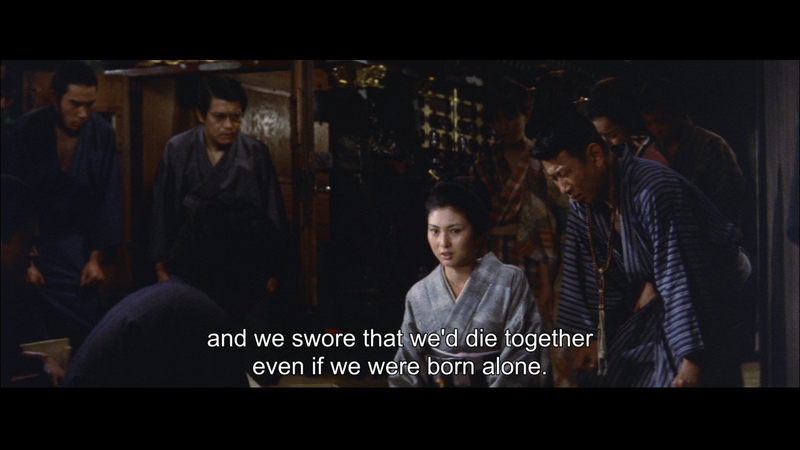 While the 1080P can look softer, in my experience, this very much how many of these very-widescreen Japanese films of the 60's and 70's appeared. 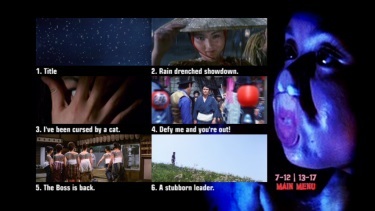 It shows much more detail (see the rain in cat in the rain capture) and also more information in the frame. The UK is a bit lighter and, also , has some minor damage (mostly frame specific - see the bottom edge with the close-ups of the cat - 7th of the bonus captures.) The Arrow is solid in-motion while the SD seems like it may be more frail. I doubt dual-layering would advance the image in this case. 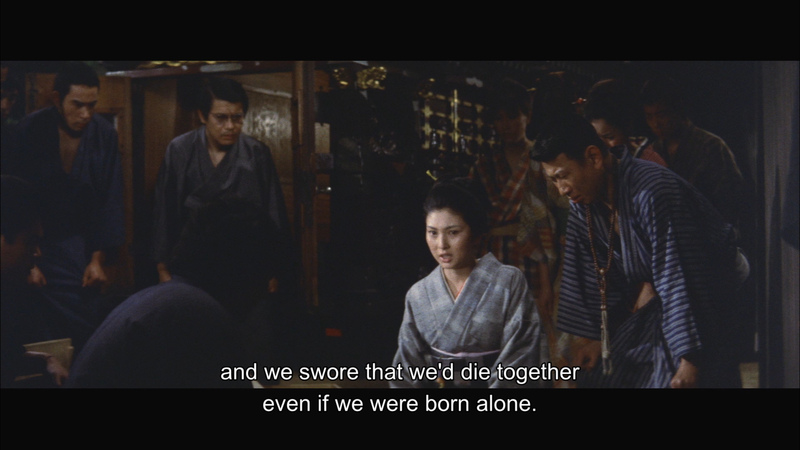 I was quite happy with the Blu-ray video as it played on my system. Audio, Arrow go linear PCM, in original Japanese mono at 1536 Kbps. It's not without its minor rough patches - mostly exhibiting a screetchy high-end at times. This, again, I would bet that this would totally be in-line with the original production. Hajime Kaburagi's memorable score sounds solid with some impressive depth supporting the film's action sequences very pleasingly. 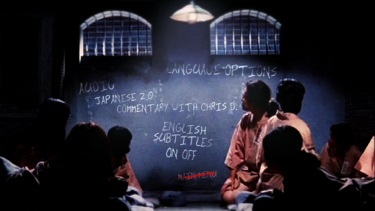 There are optional subtitles on the region 'B'-locked Blu-ray disc. Midnight Eye's Jasper Sharp - who provided liner notes for Impulse Pictures/Synapse Films' Nikkatsu releases - discusses the film's status as the last of Nikkatsu's mainstream films before transitioning to erotica, the careers of director Ishii and star Kaji (and her later work at Toei), as well as the film in the context of Yakuza films and Japanese horror films (including the literary and cinematic tradition of "ghost cat" movies in Japan like KURONEKO), mainly using elements of the film as springboard for discussion of various aspects of Japanese cinema in general. 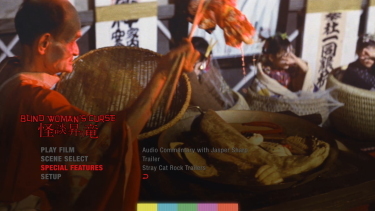 Other extras include a trailer for the film, trailers for the four "Stray Cat Rock" films Kaji did for Nikkatsu, as well as a new cover art and a collector's essay booklet. A PAL DVD is included in the dual-format release. This was great! and the commentary enhanced my appreciation. Wow - great choice by Arrow. I know I will be revisiting this gem. Absolutely recommended! ON THE DVD: Discotek Media's release is a rather dark, interlaced presentation that looked okay on older television sets but simply old on widescreen televisions that should show the anamorphic encode off at its best. 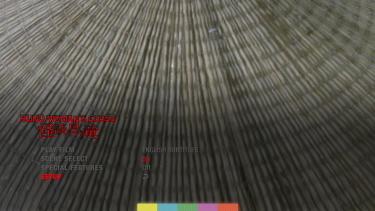 There is a layer of consistent hiss on the Dolby Digital 2.0 mono soundtrack (although this is present to a degree on the Arrow combo) while the optional English subtitles are small-ish but feature some variations compared to the Arrow subtitles (including what might be considered a subtler conclusion to Akemi's "formal introduction"). 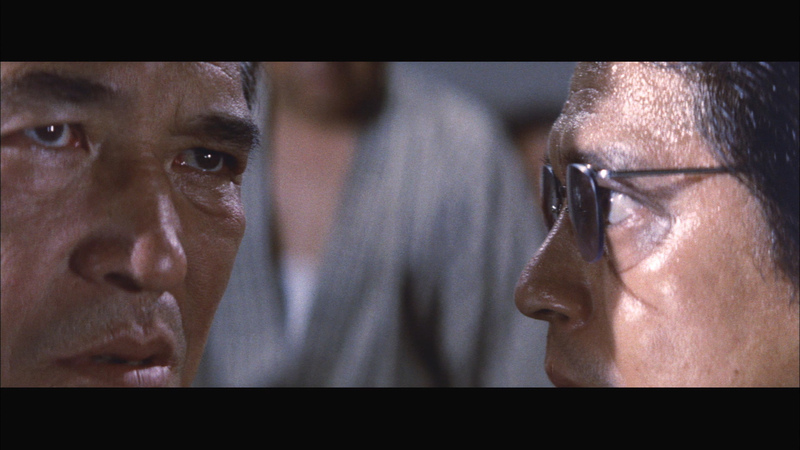 Supplements consist mainly of text extras and a commentary by American Cinematheque programmer Chris D., who seems no less informed than Sharp on the Arrow track with reference to the film with plenty of overlapping information about Nikkatsu and Toei, Kaji, and Ishii (he does go into more detail about some of the other actors and technicians who were Nikkatsu regulars). Edge enhancement on the DVD! Extras: Draw (on commentaries) but Blu-rays adds a DVD and booklet etc.